Home / Tag Archives: U.S. Marine Corps. Tag Archives: U.S. Marine Corps. The U.S. Marine Corps Systems Command partnered with U.S. Fleet Marine Forces and other organizations to assess the performance of additive printed impellers on M1A1 Abrams tanks. The service branch said Thursday it plans to utilize the impellers to replace tank components in the event of delayed parts deliveries. The U.S. Marine Corps Systems Command intends to mobilize a vehicle-mounted tool that will allow warfighters to track enemy movement. The U.S. Marine Corps began deployment of a ground and air surveillance radar system's variant model to the 11th Marine Regiment unit, USNI News reported Wednesday. The AN/TPS-80 Ground/Air Task-Oriented Radar system's block II variant tracks the location of inbound artillery and ground-based attacks. The White House considers Jim Webb, a former senator from Virginia, to serve as the next secretary of the Department of Defense, The New York Times reported Thursday. Deputy Defense Secretary Patrick Shanahan assumed the role of acting DoD secretary on Tuesday after James Mattis resigned from his post. The Department of the Navy has released its latest business operation strategy to serve as a guideline for the implementation of its business reform agenda. 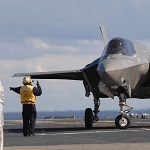 James Geurts, assistant secretary of the U.S. Navy for research, development and acquisition, has said the service is working towards meeting Defense Secretary James Mattis’ readiness target for fighter planes, USNI News reported Wednesday. 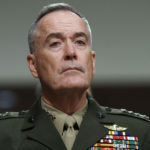 U.S. Marine Corps Gen Joseph Dunford, chairman of the Joint Chiefs of Staff, has said information exchange across the intelligence, law enforcement and military communities contributed to the progress in global efforts against violent extremist groups.